Hi everyone, I’ve got a new adorable doll to tell you about! Have you ever heard of Lottie dolls? They’re a new, 7 inches (18cm) tall innovative doll for children ages 3-9. They’re very portable and easy for little hands to carry around. 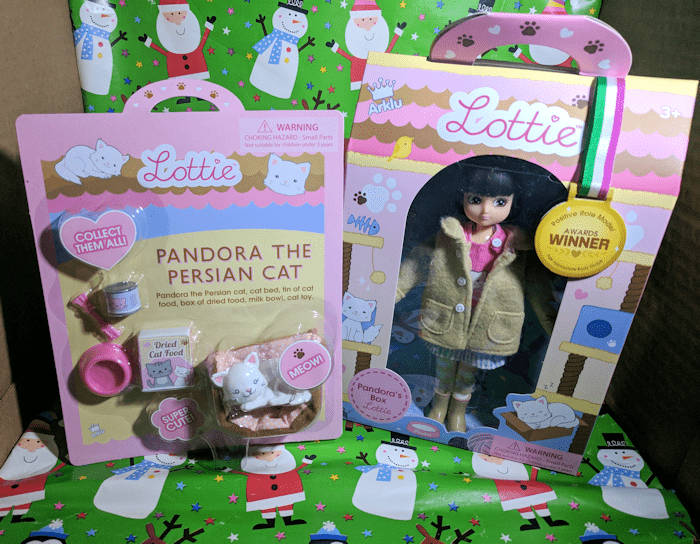 I recently received two Lottie dolls and play sets to include in our Holiday Gift Guide. Be sure to check our giveaway page often for a chance to win a Lottie Doll! Lottie Dolls are dressed in comfortable, colorful outfits made from tactile fabrics. They do not wear makeup, jewelry, high heels, or other outlandish accessories. The dolls can stand on their own, even when wearing shoes, and they have bendable knees with ball socket hips and arms. 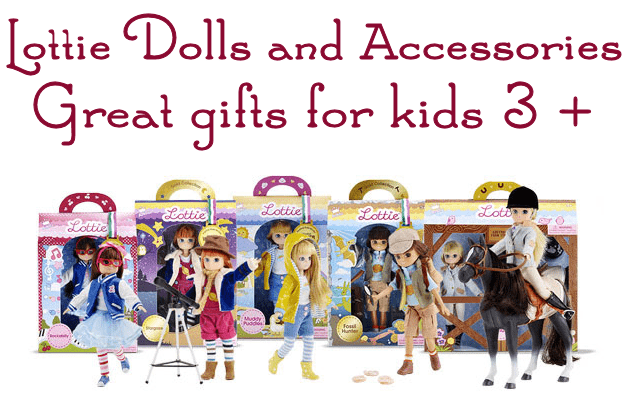 There are many different Lottie Dolls available and each one inspires children to be adventurous. I received the Pandora Box and her Persian cat accessory set. 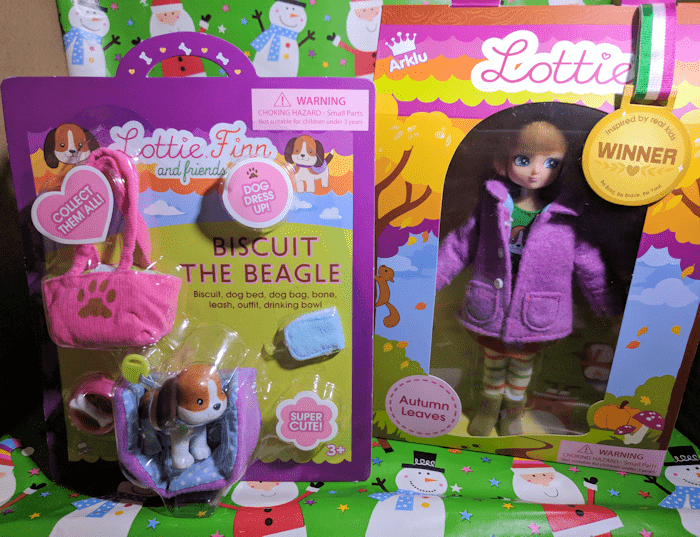 I also received the Autumn Leaves Lottie Doll along with Biscuit, her dog accessory set. 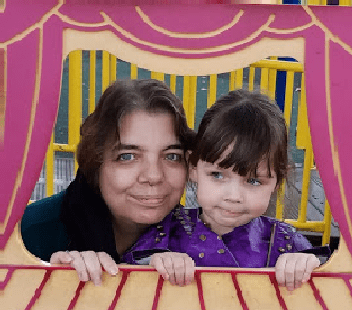 I loved the Lottie Dolls right away and I know my granddaughter is going to have a lot of fun with them when Santa delivers them. These dolls are compatible with a doll house that fits 7″ dolls. I love that these dolls are perfect for little hands. My favorite thing is that they do not have painted on makeup or curvy bodies. These dolls present children with so many imaginative ways to play. They also come packaged in an adorable box with a story on the back that represents each character. Plus there are so many accessories available, that the play possibilities are endless. You can sign up for the Club Lottie, which is an opportunity for members to experience sneak peeks of new Lottie products and enter competitions. 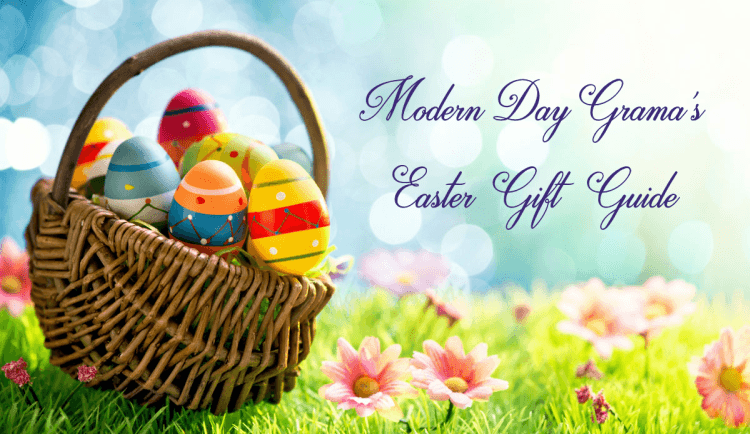 Members also receive free activity ideas and special offer codes. Be sure to follow Lottie on their social media to stay up to date with the latest! Twitter | Pinterest | Facebook | Instagram | YouTube. Like this post? 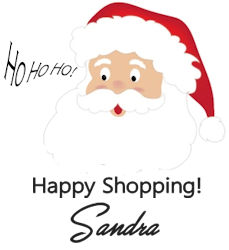 Feel free to hover over an image and Pin to Pinterest or share via one of the buttons below! Thanks for reading! 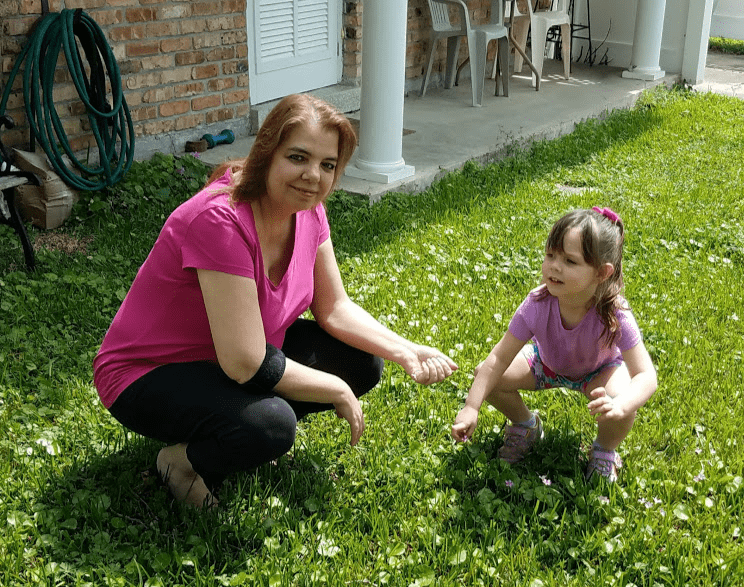 My grandaughter would love Lottie and Pandora the Persian Cat. I think that’s the one I would choose also. She is 4 and loves to play act with her dolls. This would be the perfect gift for her. I also love the fact that in this dolls background; she volunteers at the animal shelters. Please count me in and thanks for the chance to win.